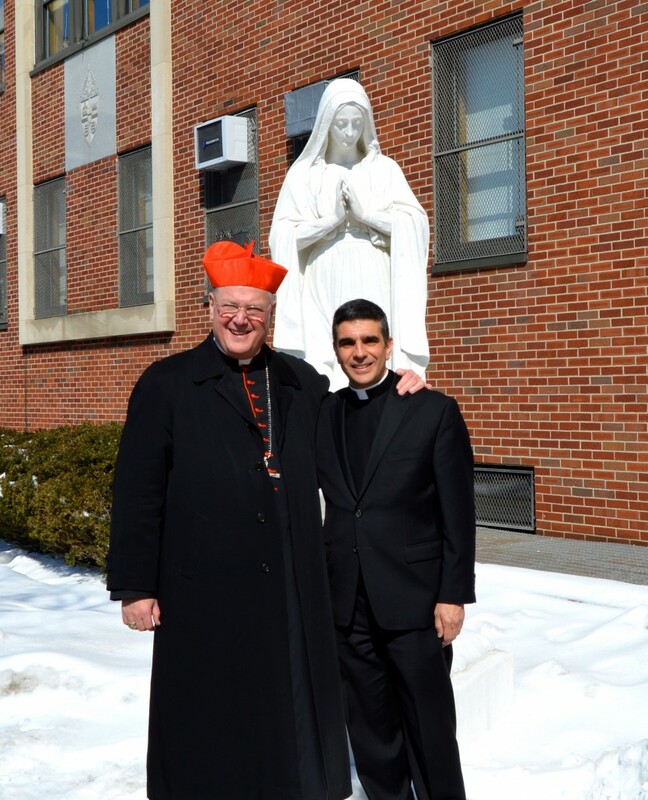 Today, the Cathedral Prep community had the privilege of welcoming Timothy Cardinal Dolan into our house. 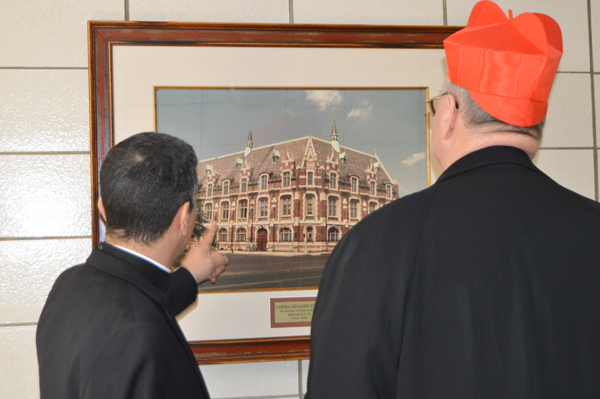 Being that it was a visit that was unfortunately postponed a few months, it is safe to say that our Cathedral family was excited and honored to welcome such a prestigious member of the Catholic Church. 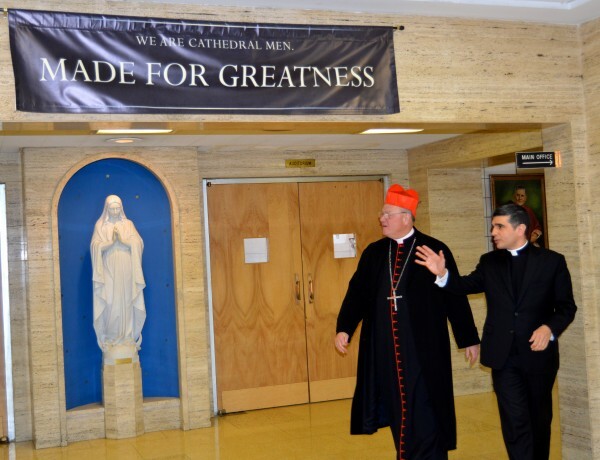 Cardinal Dolan seemed equally honored to visit Cathedral Prep, recalling the many times he has met distinguished and right-minded graduates of the Prep. “I love Cathedral Prep’s motto, ‘Men For Greatness’,” he stated, reminding us that the first step to becoming great is realizing that you’re not. 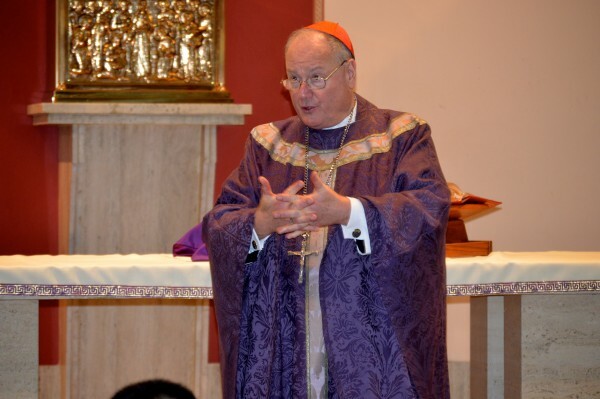 In his homily, Cardinal Dolan reminded the Cathedral students of the importance of the Act of Contrition. 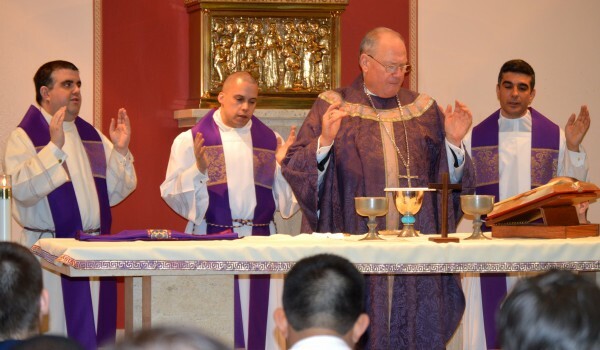 He stated that we, as Catholics, must recognize that we have sinned, seek forgiveness, and ask for the grace of God so that we too can become better and move away from the temptation of sin. 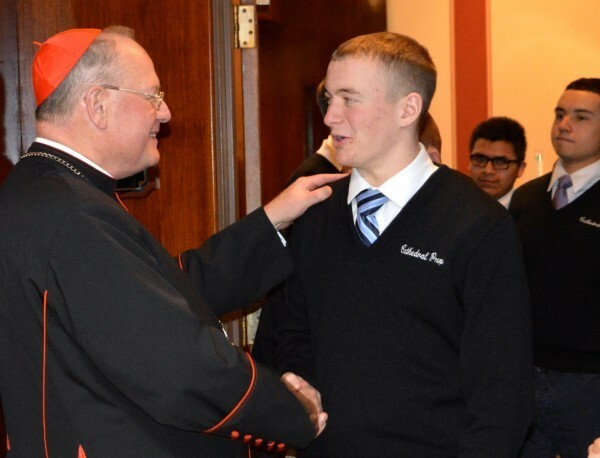 Following communion, Cardinal Dolan was gifted with a Student Leadership Council polo shirt by Cathedral’s student body president, and he then gifted the Cathedral community a day off from school (as is tradition when a bishop visits.) 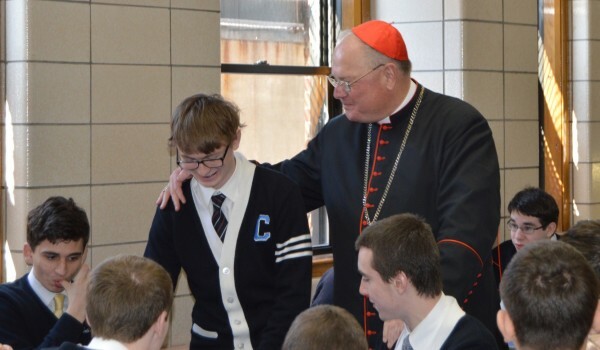 After being invited to stay for lunch, Cardinal Dolan seemed rather exciting, asking, “What’s on the menu?” Cardinal Dolan expressed hope that he would be invited back to Cathedral again, and the Cathedral community greatly appreciated his visit. 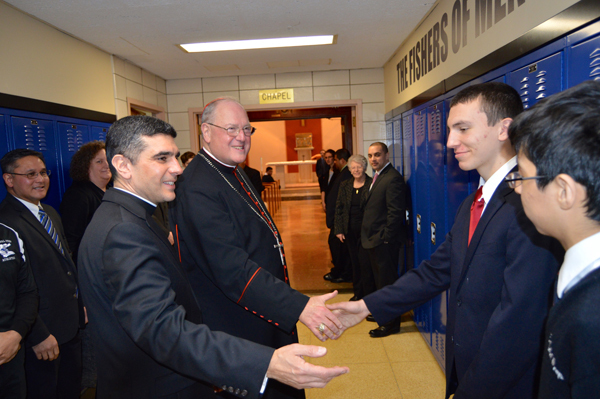 Following the Mass, Cardinal Dolan greeted each Cathedral student individually, from the seniors to the freshmen. For me, particularly, this was a rather heart warming gesture. Considering Fr. 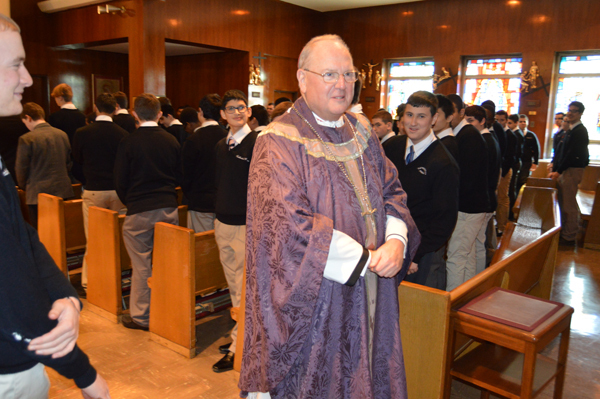 Fonti, our Rector-President, individually greets each of us at the beginning of the school day, having Cardinal Dolan do this made it clear that he truly is a part of the Cathedral family. 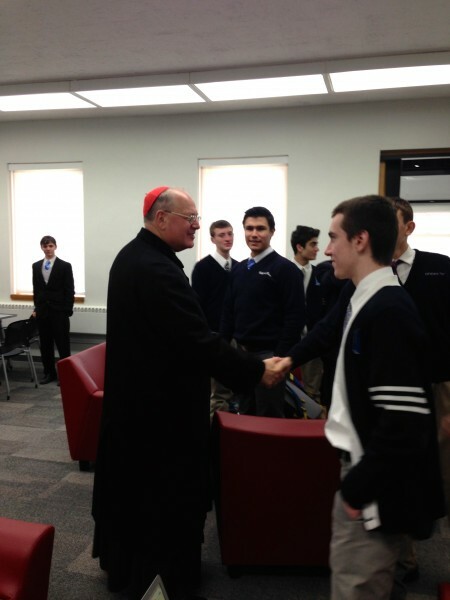 Cardinal Dolan was invited to take a mini “tour” around the school, and seemed very impressed by the updated technology in Cathedral’s new media center. He appreciated the fact that our students now have the ability to attain any information with the click of a button, and was very happy that Cathedral is providing the best education they can for the Catholic gentlemen of today. 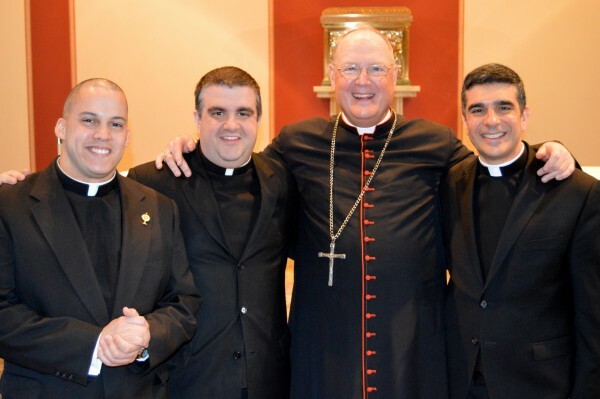 To say the least, Cardinal Dolan seemed to enjoy his visit to Cathedral, and the Cathedral community was honored to have him. 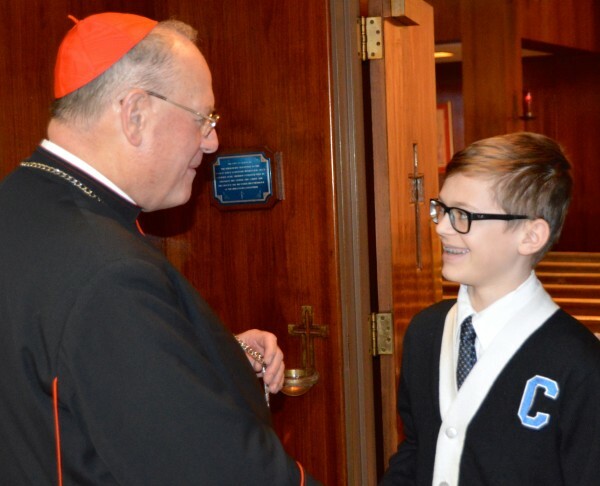 Currents correspondent Katie Breidenbach reports from Cathedral Preparatory School and Seminary, where Cardinal Timothy Dolan celebrated Mass and visited students. Looking to download above youtube video? Then Tubemate apk is only option for download youtube videos.